Check for availability, current rates and procedures. 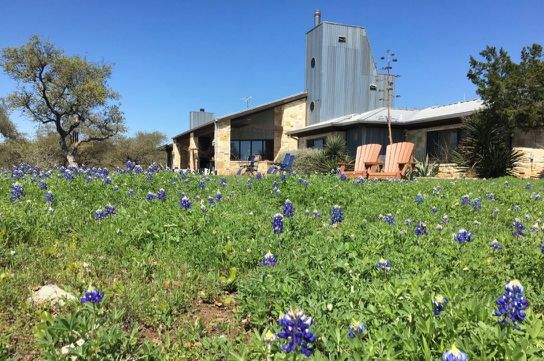 Set on a private, gated 74 acre ranch with 900 feet of Lake Travis shoreline surrounded by The Texas Hill Country, ACME Ranch is the PERFECT getaway. 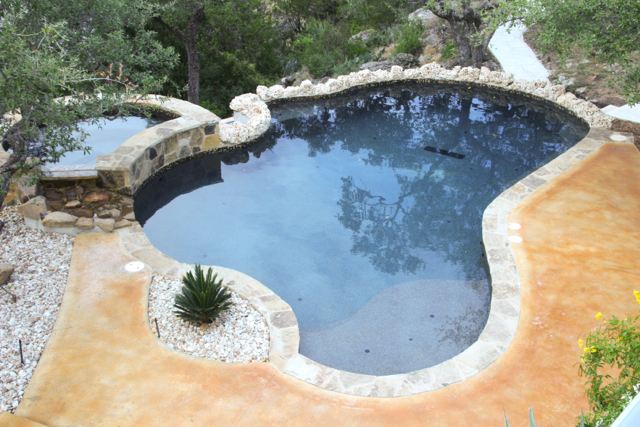 While it provides luxurious accommodations, it also has all the amenities you can imagine. Once you arrive, you will not need to leave since there are numerous activities available. Amenities include free WiFi, satellite television, Sonos wireless stereo system, a floating boat dock, swimming pool, spa, chipping/putting greens, horseshoe pit, washers' pit, outdoor chess game, basketball hoop, foosball, ping pong table, pool table, bicycles, a kayak and paddle boards. If you love exploring, bring your mountain bike or 4 wheeler since there are 74 acres for you to enjoy! You can even bring your horses! 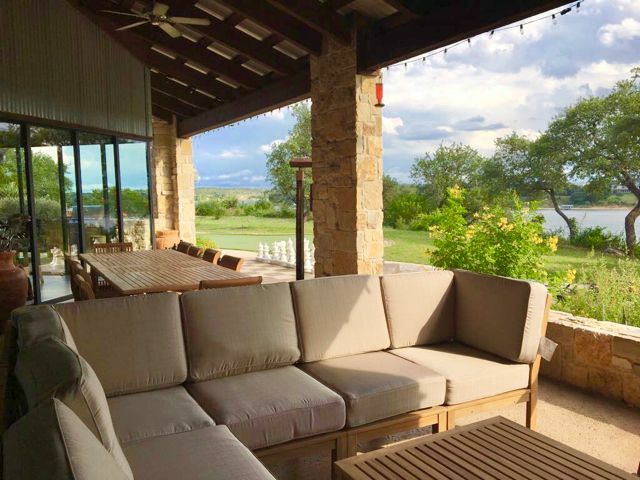 Acme Ranch is designed to give guests privacy and solitude while offering many gathering opportunities, from intimate weddings, family reunions or business retreats. It has a main residence, cabin and a bunkhouse and offers flexibility for sleeping arrangements up to 30 people. The pristine surrounding area of limestone formations, rolling hills and many trees provides a very unique environment. There is also a 6 acre fenced pasture for your horses! The outdoor setting with all of the available activities gives this home a very unique advantage over most vacation homes. 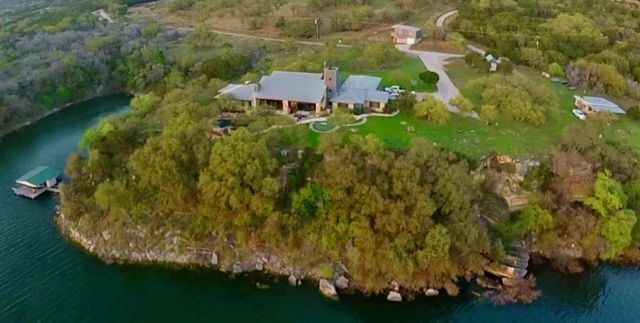 The combination of Lake Travis, The Texas Hill Country, and a private ranch will completely remove you from any stress and worries you might have had, leaving you revived and renewed. 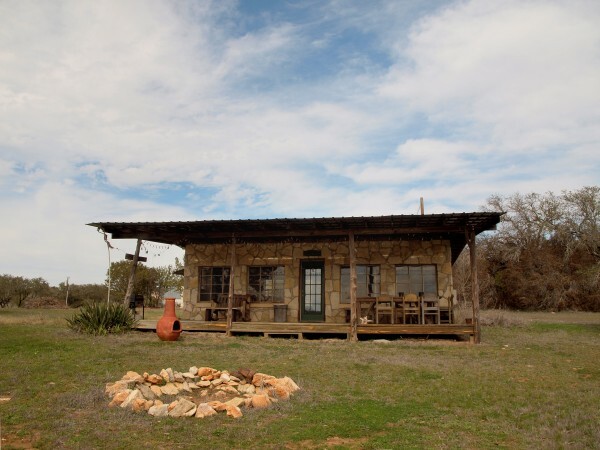 Acme Ranch is the essence of a luxury vacation home—and a little bit extra. We are so sorry, but we do not allow any groups over 30 people. This includes all day and night guests. Therefore, there can be no weddings or celebrations even if the people are not spending the night. Inside the main residence, there's the essence of sophisticated design: clean, simple lines and first-class materials. 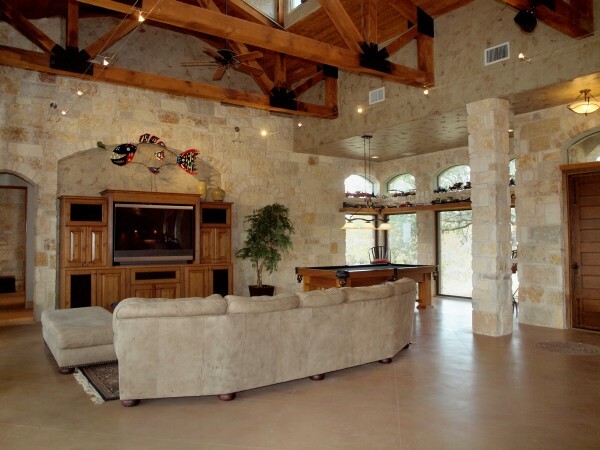 It blends space, light, and art beautifully with its high ceilings, open, airy rooms and stained concrete floors. 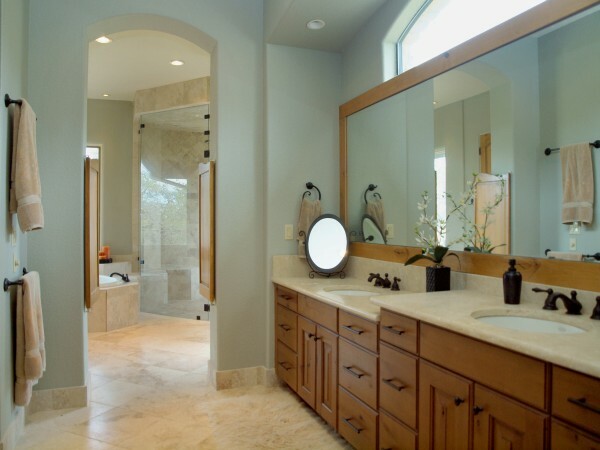 It offers a sense of grandeur, all encompassing quality from its meticulous details to its broad architectural designs, and a designer's touch with striking uses of natural stone, metal, wood, and artistic glass accents. 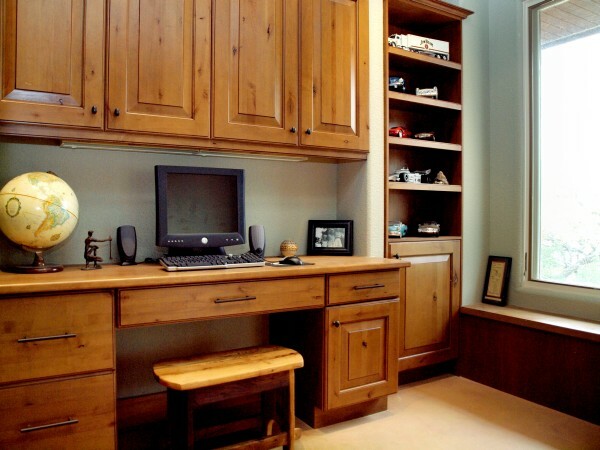 This is completed with comfortable fine furnishings throughout. The spacious open floor plan of the kitchen, dining and living spaces is ideal for entertaining friends, family and coworkers. 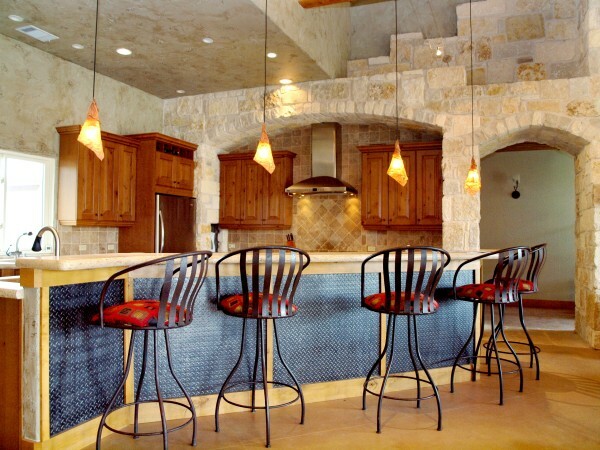 To satisfy your culinary needs, the kitchen has been stocked with all the amenities needed to prepare for a quick meal or for a formal dinner. 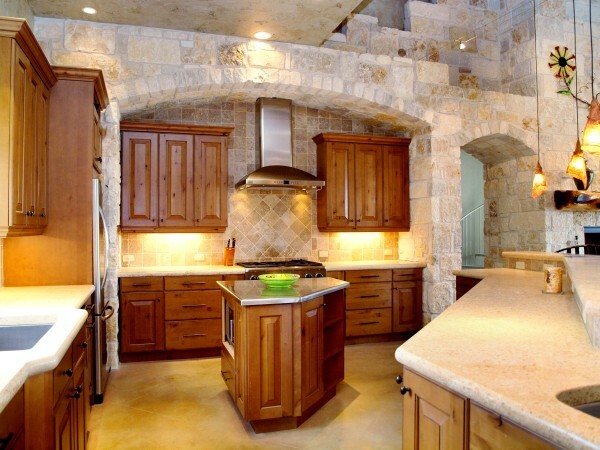 It has gorgeous limestone counters, wood cabinets and Dacor appliances. 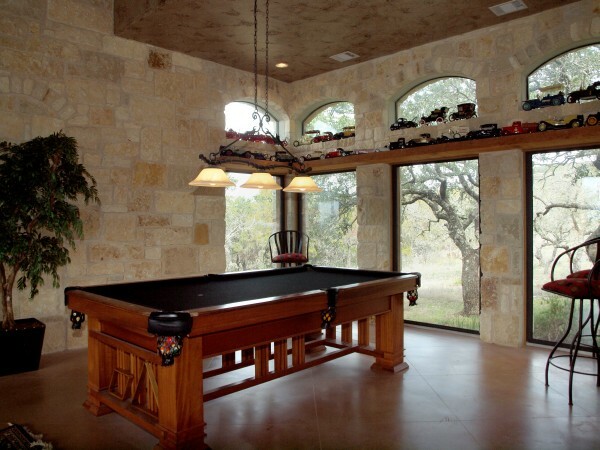 The open floor plan allows interaction of the guests whether they are cooking, sitting at the breakfast bar, playing a game of pool, watching television, or simply relaxing and enjoying the view. With each of the beautifully decorated bedrooms, it's easy to see that ACME Ranch is a vacation home of substance and style. 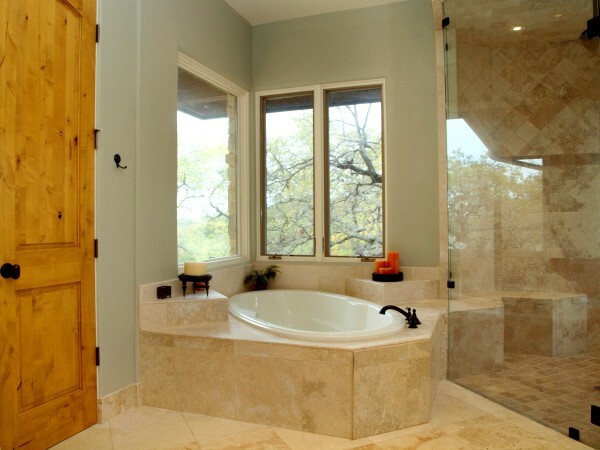 The Master Suite has a king size bed, office, dressing room and a luxurious bathroom with great views of Lake Travis from the jetted tub. 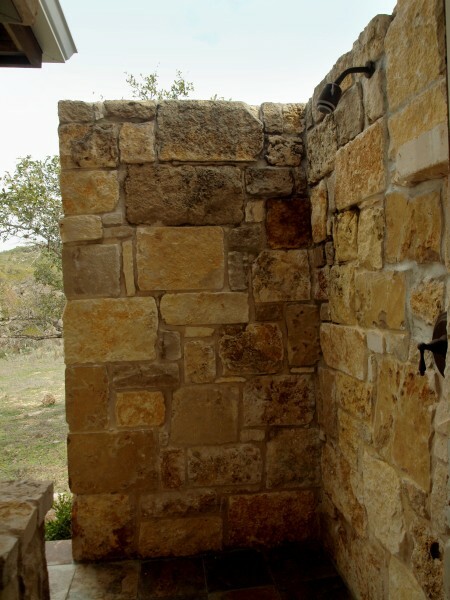 There is also an outdoor shower adjacent to the bathroom. 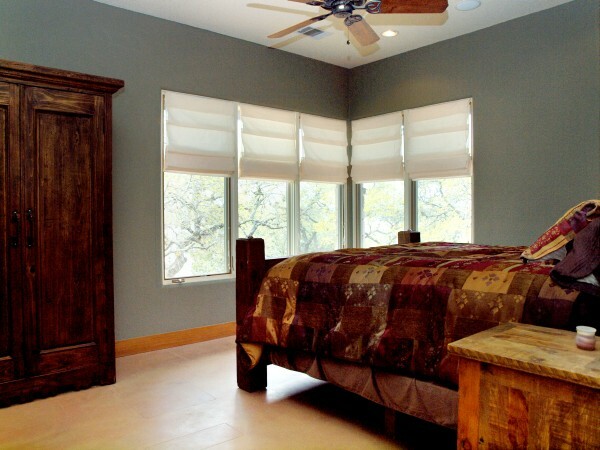 Each of the two guest rooms has a queen bed, three twin beds and a private bath. 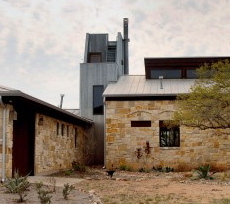 The main residence sleeps 12 comfortably. Transition seamlessly from indoors to outdoors by opening the expansive sliding glass doors. 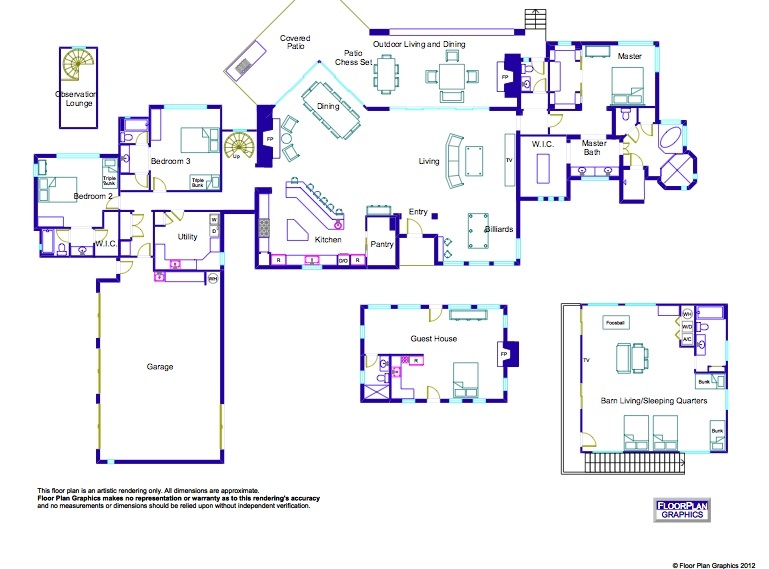 The living space extends to a large covered lanai with an outdoor kitchen and additional seating. 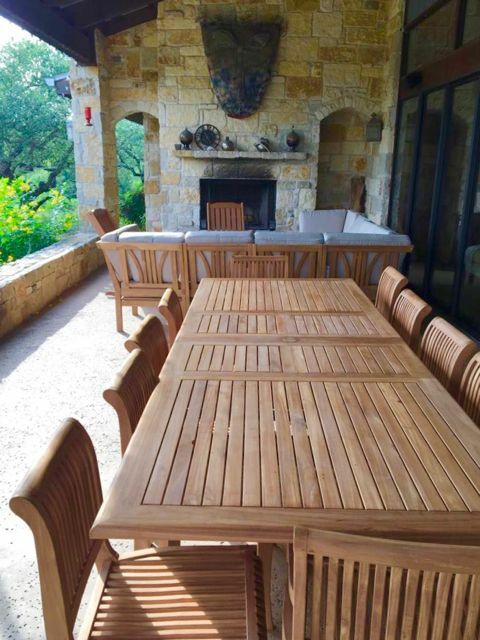 It offers alfresco dining and relaxing possibilities with panoramic views of Lake Travis that will delight you. 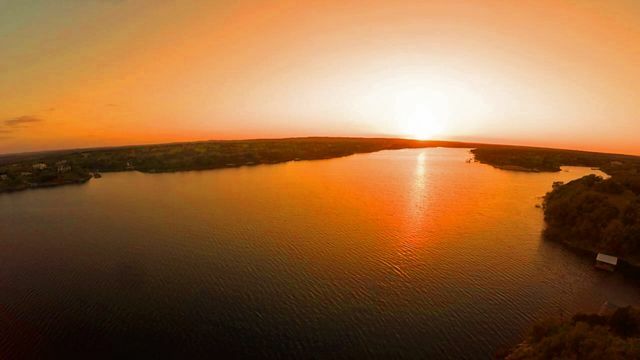 Stay a while and enjoy an amber sunset over the lake and hillside. The original homestead has been updated and is a perfect companion for the main home. With beautiful glass mosaic accents, full kitchen and an inviting interior, it offers a quiet getaway from the main home. The covered front porch encourages you to linger. It has 1 queen bed, 2 twin beds, futon, full bathroom and sleeps 4-6. The bunkhouse is on the second floor of "The Barn." 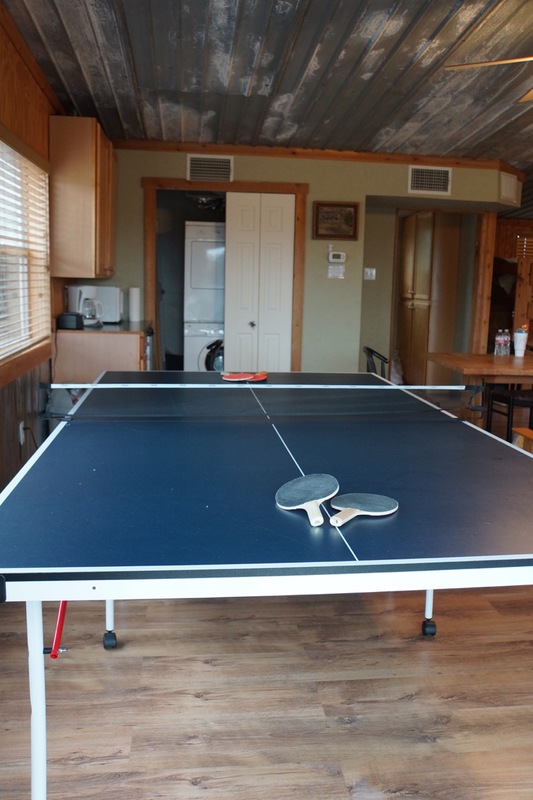 It is a spacious, open room with bunk beds (6 twin beds, 2 full beds), a futon, foosball table, a kitchenette with microwave and small refrigerator and sleeps 10-12. 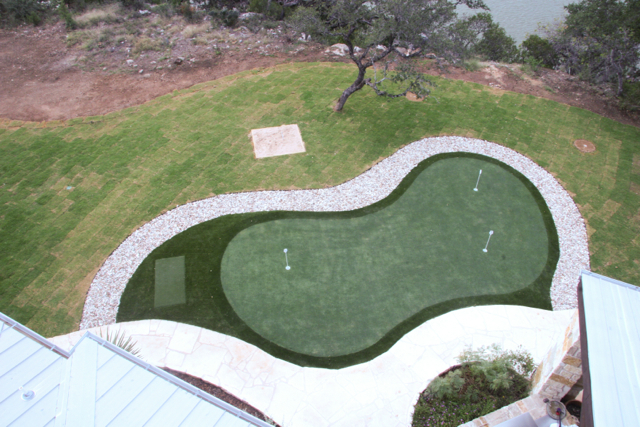 Additional features such as a pool, spa, putting green, horseshoe pit, washers' pit, crow's nest for watching boats on the lake or the evening sunset give this home a very unique advantage over most vacation homes. 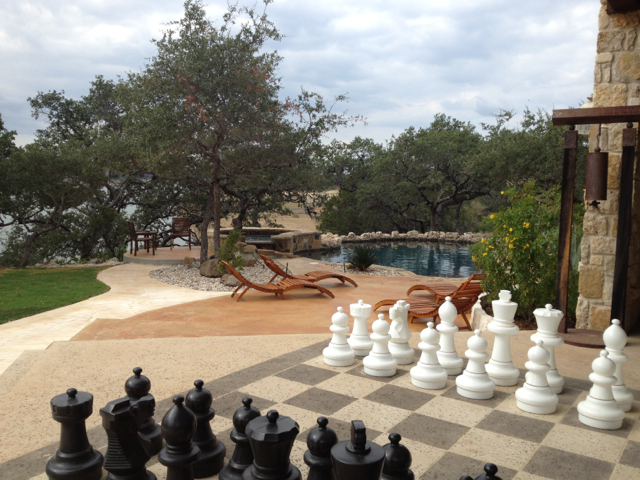 What could be more fun than playing a game of chess on this outdoor chess board? 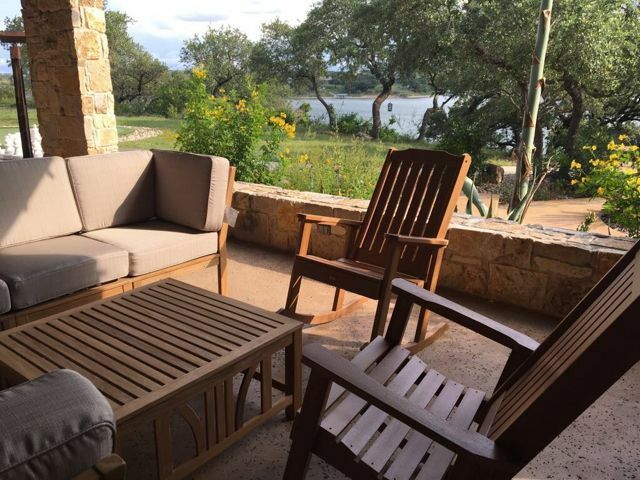 The combination of Lake Travis, The Texas Hill Country, and a private ranch will completely remove you from any stress and worries you might have had, leaving you revived and renewed. ACME Ranch is the essence of a luxury vacation home—and a little bit extra. •The kitchen in the main residence is a chef's delight with two refrigerators, double oven, ice maker, large pantry and everything you need like an ice cream maker, coffee maker, coffee grinder and kitchen aid mixer! There are place settings for 40. 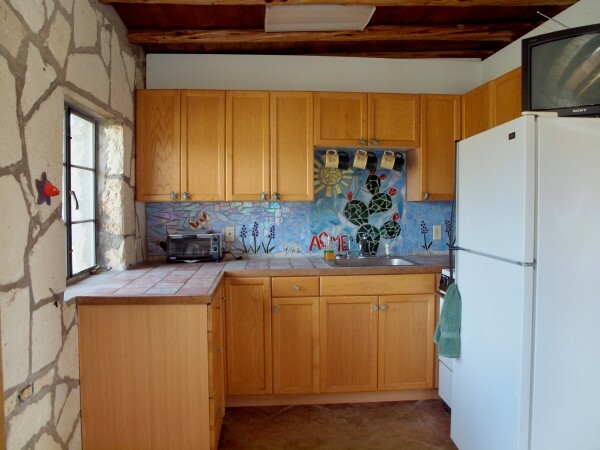 •The cabin has a full kitchen with a microwave, coffee maker, refrigerator, toaster oven, regular over and stovetop. 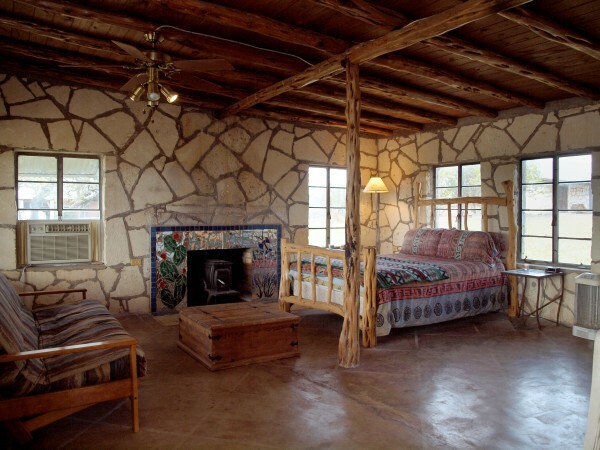 •The bunkhouse has a kitchenette w. a small refrigerator, a microwave and a coffee maker. 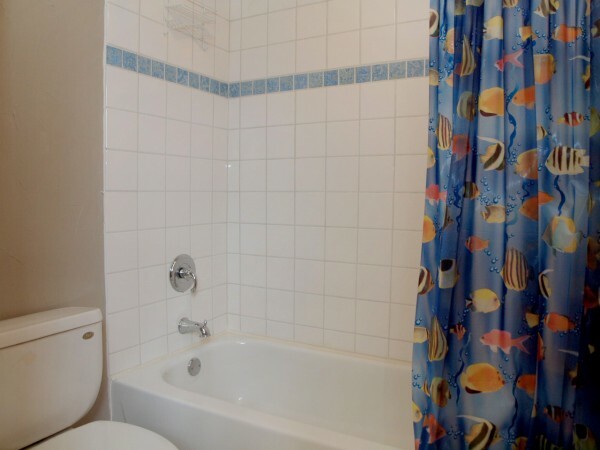 It also has a washer and dryer. •The main residence living room has a 60' TV with DirecTV and surround sound and multi disc DVD player, stereo, pool table, WiFi, a computer and board games. The two guest bedrooms have TVs with local stations and DVD players. 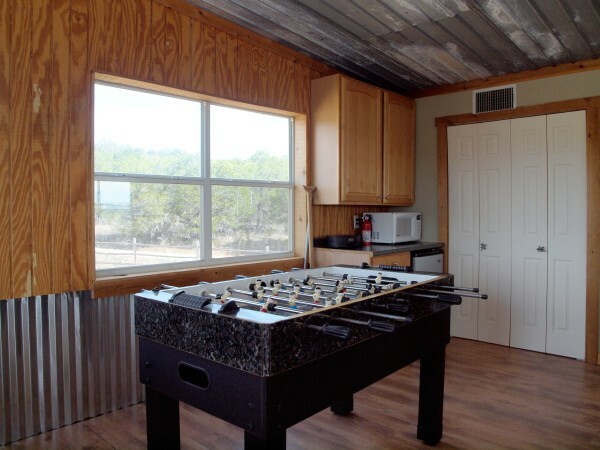 •The bunkhouse has a foosball table, 47' hi definition TV with a DVD player and Nintendo. 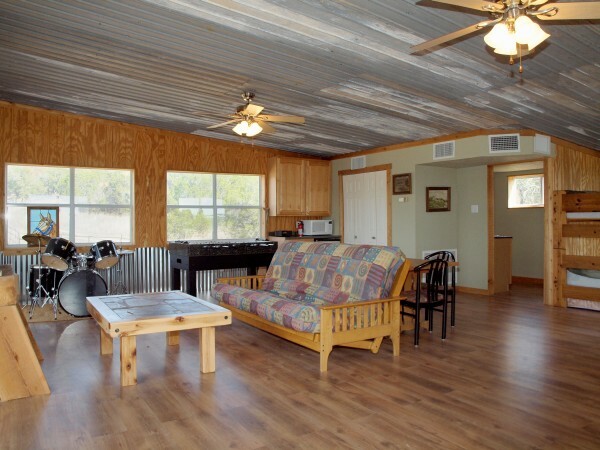 •Cabin has a 32' TV with local channels and a fireplace. 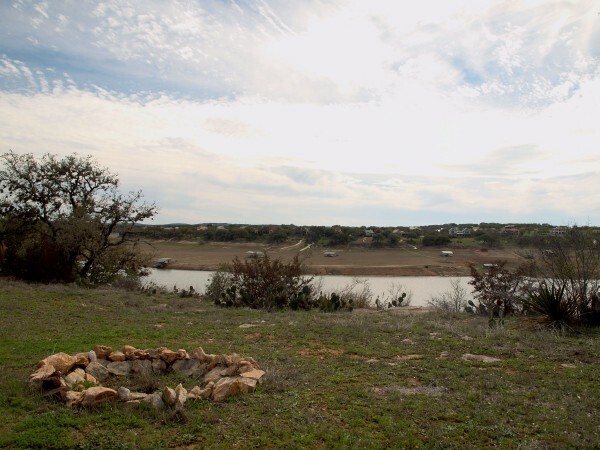 This ranch is conveniently located 10 minutes from Lago Vista, which has grocery stores, gas stations, many restaurants, pharmacy and other businesses. 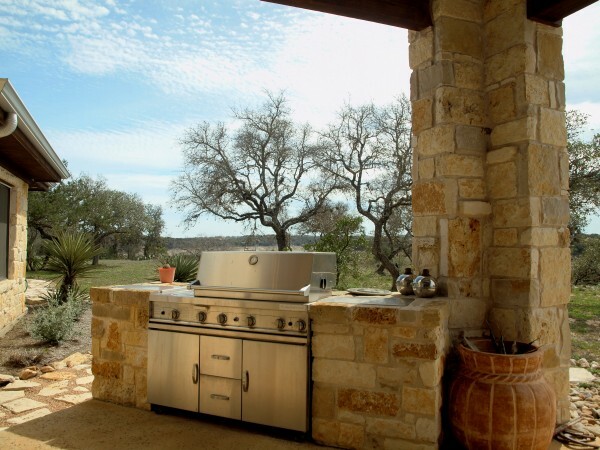 It is also about 45 miles from downtown Austin and 50 miles from the airport. Would you like to have a wedding? Flat Creek Winery offers an entire wedding package. 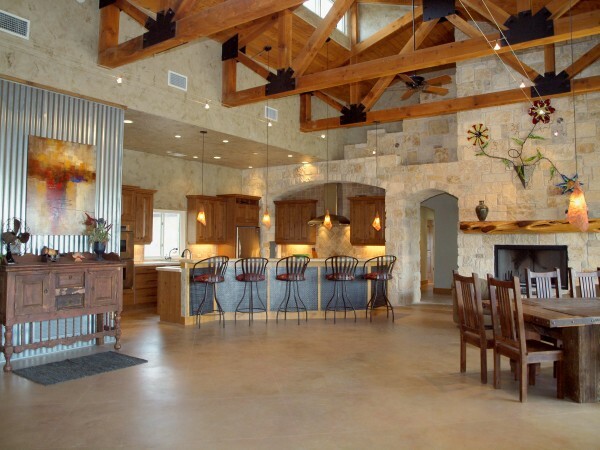 Come and stay at ACME Ranch but have your wedding at Flat Creek Winery!! 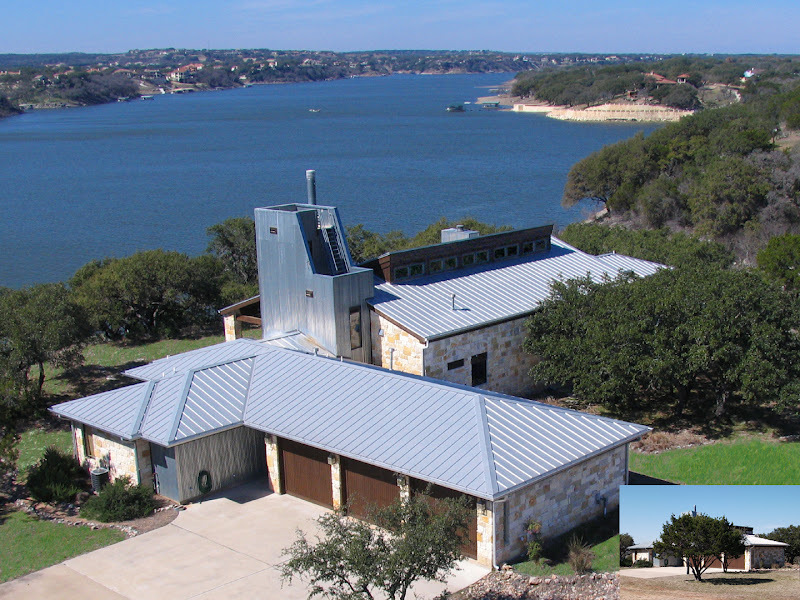 FEATURING ONE OF OUR FAVORITE HANG OUT LOCATIONS IN AUSTIN: FLAT CREEK WINERY. 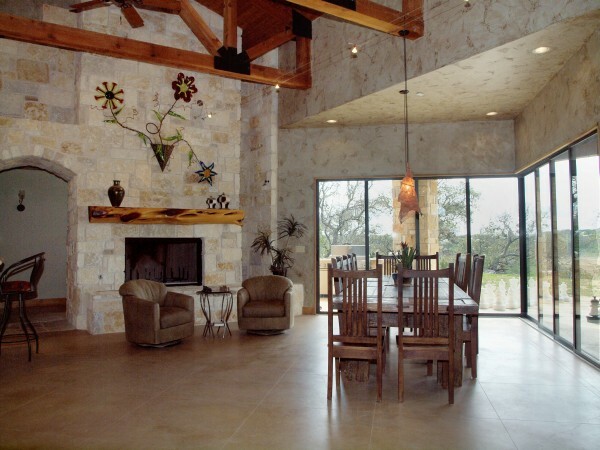 Located just a few minutes from this home, Flat Creek Winery is a great place to visit for wine tasting or great food. They take very good care of you--you will have a fabulous experience! If you are in need of a concierge service, please contact AUSTIN@KEY.CO | 512.640.4888 https://key.co/services/austin. They not only handle the essentials such as chef services, pre-arrival groceries/stocked bar, transportation, food delivery, etc., but they also deliver five-star experiences curated by local concierge. Whether it’s a customized taste of Austin, live music crawl, breakfast taco and bloody Mary’s delivered to your door or waiting in a five-hour line for infamous BBQ, they will be happy to arrange this for you. Tim is a local Lago Vista chef. He will prepare meals at the house, stock your refrigerator or cater an event. He is AMAZING! The Grille at Highland Lakes Fabulous new restaurant with Lake Side dining!! Also does catering. Waterfront Restaurant, Live Music - Drive your Boat or drive your car! GREAT Margarita’s GREAT Mexican Food! Tasting Room & Restaurant 20 Minute Drive but well worth it!! There are many great opportunities for shopping in the Austin area! For some of the BEST Outlet shopping in the United States visit the San Marcos Prime Outlet Mall & Tanger Outlet Mall. For a special shopping experience visit the unique town of Fredricksburg. For more details on shopping opportunities, visit our page on Shopping.